As we reach the end of October, the weather grows colder, the leaves change color and all the spooky ghosts and ghouls prepare for trick or treating fun! Halloween is all about the costumes. No matter what character or role your child wants to play, you’ll want to make sure their costume is hazard-free. Avoid costumes which impair movement. Capes, gowns and other flowing material should be no longer than ankle length. This will help prevent trips and falls. You also want to avoid any type of unusual footwear such as high heels, stilts or anything else which interferes with balance. Be careful when selecting Halloween accessories. Wands, swords, canes and other objects should be dull, soft and flexible. Avoid sharp points, metal or anything else which might cause injury in a fall. If you’re expecting trick or treaters, you’ll need to prepare your porch, front yard and any other areas people might walk across. First, make sure all areas are well lit. This includes not only your porch but any path leading up to your door, too. Check existing fixtures for burned out bulbs, and add extra lights if necessary. Most retail stores offer wireless, solar powered lights which you can easily place in your yard. Create a safe area inside your house for your pets. This might be a crate, basement or other area where they’ll be comfortable for the evening. Dogs in the backyard might become stressed if there’s a lot of pedestrian traffic on the other side of the fence. Likewise if they’re inside and the doorbell will be ringing frequently. Young children should NOT carve pumpkins. Instead, have them draw designs on the pumpkin with a marker. Then a responsible adult can do the actual carving. Be very careful if you light a pumpkin by placing a candle inside of it. Keep all flammable materials away, such as curtains or tablecloths. Also avoid placing the pumpkin outside, where wind could potentially knock the pumpkin and candle over. Young children should be accompanied by parents or other trusted adults at all times when trick or treating through the neighborhood. Obviously, adult supervision helps minimize the danger but there are still issues to be aware of. The most popular times to trick or treat are between 5:30 and 9:30pm. However, some communities have designated trick or treat times which they published in the paper. If your neighborhood has these guidelines, you’ll want to follow them, because those are the times when people are most likely to answer their doorbell. Don’t allow kids to eat any candy until later, when you’re back at home and are able to inspect their haul. Throw away any unwrapped or opened candy. Only allow kids to eat candy which is sealed in proper packaging. Children over the age of 13 are usually old enough to trick or treat without supervision, provided they go with their friends in groups of three or more. Make sure you know where the group of kids is treat or treating and what time you expect them home. Tell them to always stay together. At least one person in the group should have a working cell phone. Older teens should have their home address, parent’s cell number and home phone number memorized. This way they’ll be able to reach you even if their cell phone becomes damaged or the battery runs dry. Pre-teens and even teens need to understand that they should NEVER go into a stranger’s house or car. Tell your trick or treaters that it’s okay to run, yell for help or even fight back if anyone attempts to grab them or otherwise makes them feel uncomfortable. While strangers are a concern, traffic safety is the number one issue for Halloween. More people are hit by cars on the night of Halloween than during any other time during the entire year. According to the National Highway Traffic Safety Administration, up to 38% of accidents on Halloween night involve a drunk driver. So pedestrians need to be more cautious on this night than they would be during a typical evening walk around the neighborhood. Costumes should be highly visible. You should have as many bright colors on your costume as possible.Also, use face paint instead of a mask. Masks can obscure vision, including peripheral vision, which can make crossing the street especially dangerous. You’ll also want to use reflective tape. Place strips on costume, trick-or-treat bags and accessories such as capes, tails, etc. This specialty tape can be found at hardware stores, Halloween stores and most discount retailers. A few long strips of tape can dramatically increase visibility to traffic. Make sure all trick or treaters – including parents accompanying younger children – understand and follow all pedestrian rules. This includes crossing only at crosswalks, walking on sidewalks (instead of walking in the street) and generally staying in well-lit areas. As parents know, children aren’t always the best at proper preparation. You’ll likely be dealing with last minute costume adjustments and other surprises. So the more you can plan ahead of time, the easier Halloween will be. You’ll want all costumes to allow for free movement and visibility. Make sure older children are in a group of at least three or more, and have a cell phone in case of an emergency. Younger children should be accompanied at all times. All trick or treaters (and adult chaperones) must be mindful of traffic safety and maintain awareness of all cars on the road. Stick to well-lit sidewalks, and only cross at designated crosswalks and traffic lights. The most fun type of Halloween night is a safe one. 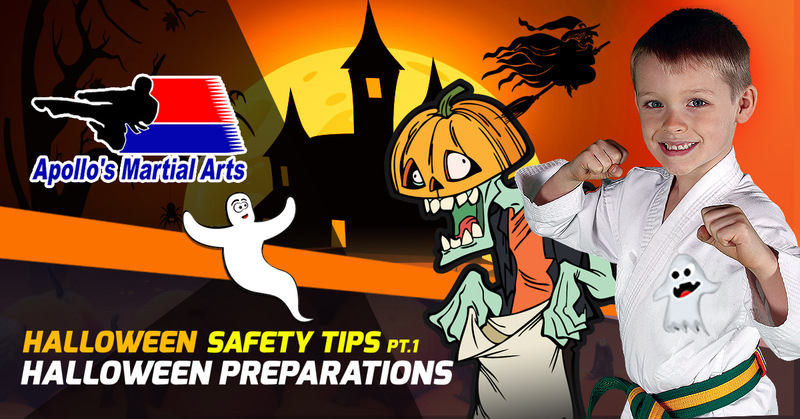 Following the tips above will ensure kids of all ages have a great time on the spookiest of holidays.